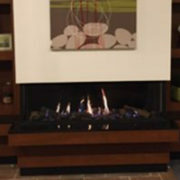 If you’ve recently had a new fireplace installed by our South Jersey-based company, you may be wondering how you can make the most of it, and help guarantee that it gets undivided attention and becomes a breathtaking focal point of the room. Here are a few ideas that you can consider to help make sure it always leaves a lasting impression. Surround your new fireplace with gorgeous ornaments, photographs, or any other objects that will make guests want to take a closer look at your fireplace and its surroundings. Something else you can do is paint your mantel a color that complements the room it’s in, and makes people want to take a long look at it when they enter the room. 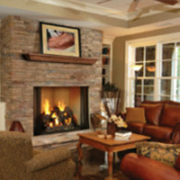 No fireplace would be complete without an impeccable stone surround that accentuates the fireplace. Whether it be marble, slate, or another material, the surround offers additional options to customize your fireplace and match your room’s theme. #3 Have artwork collecting dust? Put it on display! If you have artwork collecting dust, and that you’ve always sworn you would showcase in your home when the time was right, consider displaying it on the mantel or hanging it around your fireplace. 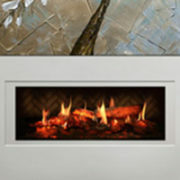 Customizing the look and feel of your fireplace is half the fun of owning one. #4 Have some, or all of your furniture facing it. Is a TV mounted over your fireplace? 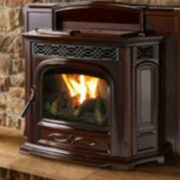 If it is, it’s likely your furniture is already facing the fireplace. 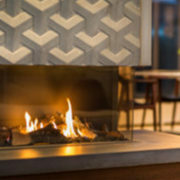 But, if it’s in a room full of furniture that doesn’t have a TV, you should turn all of it to the fireplace so everyone can casually look at it while they relax or chat with one another. 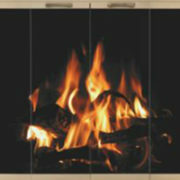 For the past twenty years, Rettinger Fireplace Systems has served as one of the go-to fireplace stores in New Jersey. 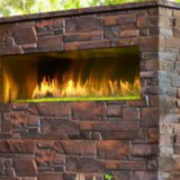 To learn more about the fireplaces we design and install, or how we can help you make your fireplace look spectacular, please browse our site, or give us a call at 856-783-5501.